(NewsUSA) – Many people have trouble falling asleep, and there are many sleep supplement products available to help.However, only certain products are truly effective at promoting the deepest, most restful sleep needed for no morning drowsiness. The deeper the sleep, the better for the restoration of your mind and body.During sleep, your brain goes through five stages that repeat in approximately 90-minute cycles. These stages are divided into non-REM and REM sleep.Non-REM: The first stage of non-REM (non-Rapid Eye Movement) sleep starts when you first fall asleep (stage 1) and progresses through stage 2 of light sleep.Stages 3 and 4 are the deepest and most restorative times of sleep, when your heart rate slows, your muscles and skin heal and grow, and your immune system recharges.REM: REM, or Rapid Eye Movement, is the shallow sleep that occurs as the fifth and last stage of a sleep cycle. REM sleep is associated with dreams, learning, and memory.Some sleep aid products, such as melatonin, focus on sleep quantity. While these types of products can make you sleepy, many people who have trouble sleeping can’t relax their brains into deep sleep. Certain amino acids, however, such as glycine, can help.Glysom is a unique dietary supplement that contains glycine. Unlike some other glycine supplements on the market, Glysom has been well studied as a sleep supplement to show that it is effective, helping the brain to relax into the deep sleep cycle.Data on Glysom have shown that the product can help promote deeper and more restful non-REM sleep without such side effects as daytime sleepiness.Glysom is not an injection or pill; it is available in small packets as a lemon-flavored powder to help make it easy to take.For more than a decade, Glysom was only available from health care professionals, but it is now available directly to consumers.Glysom is produced by Ajinomoto, a global leader in the manufacture and distribution of amino acid products.For more information about Glysom and how to improve sleep quality, visit glysom.com. 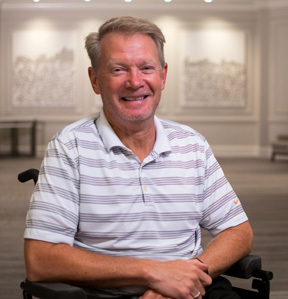 (NewsUSA) – In 2001, Alan Alderman was diagnosed with Amyotrophic Lateral Sclerosis (ALS). Many people know ALS as Lou Gehrig’s disease, named after the famous baseball player who got the illness.ALS is a disease that makes the nerve cells stop working and die. The nerves lose the ability to trigger specific muscles, which causes the muscles to become weak and leads to paralysis. Unfortunately, about 80 percent of people who get ALS die within two to five years of diagnosis.After Mr. Alderman’s diagnosis, he became determined that ALS might eventually take his life, but it would not destroy it.For the past 18 years, Alan has been fighting against ALS. He has been active in fundraising, advocacy, and raising awareness for ALS. This winter, he rowed 3,000 miles across the Atlantic Ocean in a rowboat to help raise funds and awareness for the organization Row4ALS.While most of us don’t want to face the ocean in a rowboat, what can we do to help fight ALS?The National ALS Registry helps gather information from people like Mr. Alderman who are living with this terrible disease. The National ALS Registry is the only population-based registry in the U.S. that collects information to help scientists learn more about who gets ALS and its causes. Researchers and scientists from all around the world can access the Registry data.During the seven years of the National ALS Registry’s existence, researchers have learned a lot about ALS. But there is still a long way to go to understanding this disease. The Registry relies upon the participation of the people around the U.S. living with ALS.The Registry has found that over 16,000 persons with ALS live in the United States. In addition, the Registry is funding research to find out what may cause ALS, such as exposures to environmental toxins and pollution, genetic links, and certain medical conditions or medications.While we don’t know the causes of this disease, we do know that to get a full picture of this disease – and to understand its possible causes, and potential treatments – the Registry needs as many patients as possible to register. All of the data are confidential; researchers do not get patients’ personal information.Every year, nearly 5,000 more people are diagnosed with this terrible disease. Everyone’s story is different, and everyone’s piece of the puzzle is essential. When patients join the Registry, it helps give researchers more information. This could lead to a better understanding of the causes of ALS, and could help offer a better future for people with the disease.If you or someone you care about has ALS, please consider learning more about the ALS Registry by visiting www.cdc.gov/als. (NewsUSA) – If you live or work in a big city, you may be reluctant to travel across the ocean to another bustling metropolis. There’s only one Paris but getting from the Louvre to Notre-Dame to the Arc de Triomphe via the Paris Metro doesn’t feel a whole lot like a vacation if your typical day includes the New York City subway, for example.The good news is that there are many places outside of major cities for great culture and cuisine, but with a more laid-back feel.Blue-Roads, a world leader in small group touring, specializes in taking you to these more intimate destinations where you get the best of both worlds. Here are a few ideas for authentic experiences coupled with a relaxed pace that allow you to truly decompress and better enjoy your travels:Bilbao, Spain. Millions of tourists flock annually to Catalonia’s capital, Barcelona, for its world-class art museums, its imposing gothic architecture and Northern Spanish delights such as paella. In Bilbao, you’ll find equally appealing character and ambiance. In this rugged coastal city, steep yourself in Basque culture, history and cuisine. It’s renowned for its fresh seafood and Basque foodways, its world-class Guggenheim Museum, and it’s amazing indoor food market and contemporary architecture. On Blue-Roads’ Highlights of Northern Spain tour, you’ll explore the iconic Frank Gehry-designed Guggenheim and dine at a Michelin-starred restaurant.Granada, Spain. Madrid may be famous for its great European masterworks and breathtaking architecture, notably the Royal Palace and Plaza Mayor, but Granada is a jewel in its own right. You’ll marvel at Granada’s equally breathtaking Moorish architecture, a distinctive mix of Islamic and Arabic influences. No visit to Granada is complete without seeing the splendor of the Alhambra’s palace and gardens from its plateau in the Sierra Nevada Mountains, with a sweeping vista overlooking the city. Included in the Iberian Inspiration tour is an exploration of this famed place, considered one of the finest masterpieces in Islamic architecture.York, England. While few cities can match the lure of London, it is a very crowded destination. About three and a half hours north is York, one of the best-preserved ancient walled cities in the world. It dates back to Roman times. It’s also one of the most picturesque places in England. The Heart of Britain tour brings you into the heart of Old Town York. Steps built in the middle ages bring you to the top of the city wall where you can take in dazzling views before sitting down to enjoy a pint or a meal.Galway, Ireland. 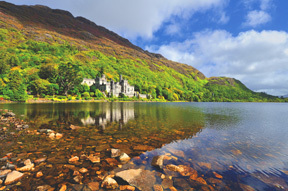 Ireland is famous for its rugged coastline, majestic castles and emerald green hills. Be sure not to limit yourself to Dublin or Belfast, though. Don’t miss Galway, considered Ireland’s cultural heart and designated the European Cultural Capital 2020. Known for its traditional Irish music, Galway is rich in medieval history, street art and is the birthplace of the traditional Claddagh ring. On Blue-Roads’ Emerald Isle tour, you’ll soak in the vibrant energy of this eclectic city, including a walking tour of the harbor city of Galway, where fisherman have lived and worked for centuries.Who says you can’t have it all? When you visit one of these less-traveled cities featured in Blue-Roads Tours, you’ll replace the day-to-day with a getaway to remember. (NewsUSA) – It’s time to start talking ticks. Spring signals a particularly active time for ticks, just when gardeners get antsy to get their hands dirty, working in their gardens. For anyone looking forward to spending time outdoors Be Warned: tick-borne disease is on the rise.Each year, approximately 30,000 cases of Lyme disease are reported to the CDC by state health departments, but this number doesn’t reflect all diagnosed cases of Lyme disease. Recent estimates suggest that approximately 300,000 people may get Lyme disease each year in the United States.New data reported by the CDC in 2018 showed that state and local health departments reported more cases of tick-borne diseases in 2017 than ever before, including Lyme disease. While the uptick in ticks remains unclear, a number of factors can affect tick populations, including temperature, rainfall, humidity, and most certainly, host populations, like deer.Although ticks can thrive just about anywhere in suburbia, it’s common that they prefer wooded areas, gardens, plantings, and tall backyard grasses. One reason ticks continue to flourish is their propensity to hang out on shrubs, trees, and in tall grass waiting for unsuspecting hosts- like your dog or deer- to wander by so they can latch on and hitch a ride to your backyard.We know that deer have made themselves at home in suburbia and most of us have seen more than our share of deer right outside our windows. When you see deer outside, its probable ticks hitched a ride and will stay behind when the deer move on. Ticks need a host to survive and they find a prefect host when attaching to your dog, cat, or any human in close proximity.Avoiding the outdoors during warm weather isn’t an option so prevention and protection is paramount when it comes to dodging ticks and defending yourself against tick-borne illness.It stands to reason and statistic show, deer are carrying ticks to your backyard. Your best and most logical defense is to discourage deer from roaming onto your property in the first place.One of the most reliable and logical ways to keep ticks out of your yard is to keep the deer away.There’s a number of strategies to keep deer at bay, including physical barriers like fencing, but fencing can be unsightly and deer can jump two feet higher than allowable suburban fence height restrictions of six feet. Planting deer resistant varieties like marigolds, foxgloves boxwood and rosemary could help, but when food supply is low, deer will eat just about anything. Motion deterrents positioned near your garden can scare deer off, however, you’ll have to continually reposition them since deer will become acclimated to them and won’t be scared away.Back to logic. 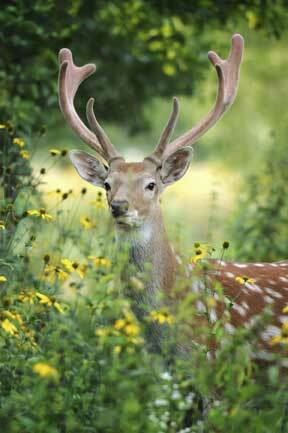 We know deer rely heavily on their sense of taste for feeding and smell to alert them to predators. Using a scent aversion, fear-based repellent, like Bobbex Deer, is often considered the most effective, practical, and easy way to keep deer out of your yard, and turn the tide on ticks, keeping them out too. Repellents make good sense.There’s quite a few repellents to choose from but Bobbex Deer works. It’s third party verified through testing by the Connecticut Department of Forestry and Horticulture. Bobbex trumped nine other repellents products, was cited number one in comparison testing, and second in effectiveness only to a fence barrier.Bobbex Deer Repellent combines scent and taste deterrents. The all-natural repellent blends six scents, including rotten eggs, garlic, clove oil (among other things) to mimic predator scents, classifying it as an effective fear repellent. It also tastes terrible to deer, but is actually good for plants because it contains trace nutrients including nitrogen and phosphorus. The product dries clear, is harmless to humans and pets, won’t burn plants and its odor, after 24 hours, is undetectable to humans, but deer are still repelled by it. Bobbex is safe for use on the most sensitive plants and can be used on shrubs, trees or as a bulb dip.The takeaway? Ticks are on the rise and deer populations are high just about everywhere. The dual key to combat both deer in your yard and hitchhiking ticks is proactive protection, using a verified, tested, and effective repellent. Don’t forget ticks can be active year-round and Bobbex Deer is designed for year-round use.For more information about Bobbex Deer, visit www.bobbex.com. (NewsUSA) – A mind of steel, a body that’s pushed to its limits, a heart of humility and much more. (NewsUSA) – While the origin of malt can be traced back to early Egyptians, the full value of this healthy, "forgotten ingredient" has been overlooked and underappreciated.As Americans strive to satisfy their appetite for the next nutritional trend, malt is a resounding reminder that sometimes our ancestors truly do know best.Malt is nostalgically remembered as a cornerstone of American culture, conjuring fond memories of vintage "malt shops" or a delicious glass of Ovaltine™ malted milk. But, what exactly is malt?Malt is basically sprouted barley. By sprouting the barley, the grain’s enzymes are unlocked with only water and heat in an ancient, natural process that releases the whole grain’s nutritional power. Malt can be further processed to produce liquid or powder sweeteners called malt extracts that are used in beverages (beer, malted shakes, energy drinks), baked goods (cakes, pretzels, breads), cereals and snacks (protein bars, yogurts, confections), and other foods. Malt Extract’s Natural Health Benefits * Athletic Recovery: Today, malt extract is drawing renewed attention as a naturally-functional ingredient that packs a host of powerful intrinsic health benefits – one reason that, among other uses, athletes are increasingly relying on malt extract-based beverages to replenish and recover. * Boosts Happiness: Malt extract might actually make you happy! Malt extract contains Hordenine, a plant-based, naturally occurring compound that has been found in scientific studies to lift your spirits. Hordenine was shown to activate the dopamine D2 receptor, the brain’s reward center, which causes this "feel-good" effect. It has also been reported to sharpen mental focus and heighten energy levels. * Sweetener with Substance: Malt extract is not an empty sugar. When used as a sweetener, malt extract is a functional ingredient that serves as a source of antioxidants, essential amino acids, vitamins and minerals, and is made with whole grains. As an added benefit, malt extract has a significantly lower glycemic index than table sugar. * Supports Digestive Health: Malt extract can be good for your gut. Malt extract is a rich source of soluble fiber, which helps improve digestion by optimizing good bacteria and minimizing bad bacteria. Studies show malt extract facilitates the growth of probiotic cultures that can enhance digestive health by supporting the good bacteria that lines the gut. This can help prevent illness and promote essential nutrient absorption, enhancing overall health. * Promotes Heart Health: Malt extract is shown to reduce the risk of heart problems by helping to lower cholesterol. A heart-healthy mix, malt contains fiber, potassium, folate, and vitamin B6, which together lower cholesterol and decrease the risk of cardiac disease. Its dietary fiber helps reduce insulin activity and increases cholesterol absorption from the gut and encourages cholesterol breakdown. Studies indicate this promotes lower cholesterol by reducing plaque formation. * Antioxidants Galore: Malt extract packs more than 5 times the antioxidant power of fresh broccoli and nearly 50 percent more than blueberries. It is an abundant source of vitamins, minerals, amino acids, dietary silicon (supports bone health), B complex vitamins and micro minerals. Consuming foods rich in antioxidants has been shown to strengthen heart health, support anti-aging, and lower risk of infection and some forms of cancer. "Malt extract is emerging as a naturally-functional ingredient that consumers should look for in many of their favorite foods and beverages," says Amy Targan, president, Malt Products Corporation. "Today’s health-conscious consumer demands a diet enriched with ingredients that provide optimal flavor and nutritional function to complement their lifestyle. "Companies such as Malt Products Corporation provide all natural, non-GMO certified malt extracts to a multitude of leading bakery, confectionary, beverage, snack food, and cereal manufacturers nationwide. (NewsUSA) – Most older adults – about 94 percent – want to stay at home as they age. But a new survey from the Home Instead Senior Care network shows many seniors are redefining what it means to age in place, revealing that one in four plan to move to a new home to accommodate their changing needs.Among those who want to age in a new home, many older adults are searching for improved practicality – with top desired features, including single-floor living and easy or low cost of maintenance. For those who want to stay in their current homes, nearly two-thirds have given thought to age-friendly modifications, such as adding grab bars to bathrooms or other safety measures.When seniors and loved ones are faced with the question of what features are best for them, it’s important to consider effects of aging that could make certain areas of the home hazardous, such as:* Agility and mobility. Conditions such as arthritis can impair mobility. Stairs that were once easy to navigate might now present a challenge. * Balance. Neurological disorders such as Parkinson’s disease and other chronic conditions increase the risk for balance problems, as well as falls on slippery floors and getting in and out of the bathtub. * Eyesight. 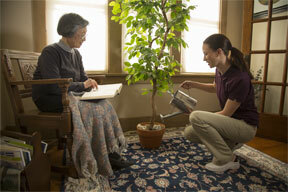 Studies indicate that a 60-year-old needs at least three times more ambient light to see than a 20-year-old. Poor eyesight may make medication management and personal grooming difficult, and can lead to tripping hazards. * Memory. The effects of memory loss might make it hard for an older adult to stay on a medication plan, remember to turn off stove burners or pay bills on time.With so much to consider, it’s easy to feel overwhelmed navigating the decision of where to age. In fact, just one in four seniors surveyed report having specific plans for where they will live as they become older.To help seniors make an informed decision on the best place to age, Home Instead is introducing Home Your Own Way, a new collection of free resources for seniors and their loved ones to navigate options and determine what "home" might look like for them.Whether older adults age in their current home, downsize, move to a senior living community or choose to live with relatives, the goal of Home Your Own Way is to provide seniors and families with the resources they need to make a decision that is right for them.To learn more about defining home your own way, visit www.HomeYourOwnWay.com or, contact your local Home Instead Senior Care office or www.homeinstead.com. Next month is the start of the peak home buying season – the four months that generally account for more than 40 percent of annual housing transactions. The reasons are: The weather is (cross your fingers) nicer, the holidays are a but a distant memory and families with kids prefer to relocate before the start of a new school year. So if you’re looking to sell – or just want to make some changes to test the market – now’s the time to learn which upgrades increase your house’s value in potential buyers’ eyes and which leave them stone cold. (NewsUSA) – What can a little paint do for communities? Sometimes a whole lot. As part of "The Can Do Project," for every one-gallon can of Valspar interior and exterior paint that is purchased at Lowe’s from March 25 through April 1, Valspar will donate a gallon to Habitat for Humanity to go toward their commitment of 250,000 gallons. This one-for-one match is only the latest initiative in Valspar’s 20-year partnership with the nonprofit organization, and together they are helping families create a better future for themselves through homeownership. In fact, over those two decades, Valspar’s almost $99 million worth of cash and paint donations have aided more than 98,000 families. It’s truly amazing what a can of paint can do. View the full-sized image here. You are hereby granted a world-wide non-exclusive right to freely make copies, distribute, publish and/or provide links to this content so long as attribution is made to NewsUSA in the byline or otherwise and no material changes are made to the content. The included photos may or may not be used, but in no case can they be used without the accompanying article.